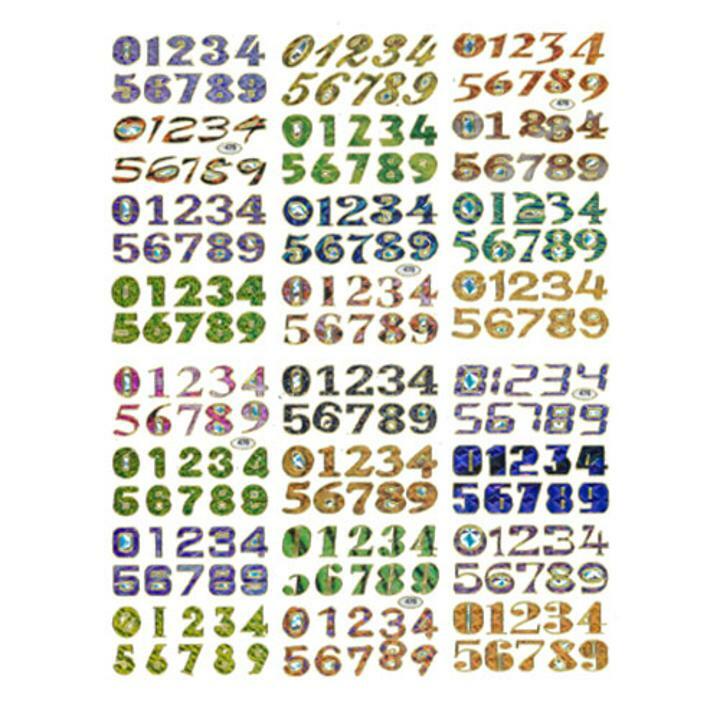 30 sheets of hologram stickers containing 6 sets of Numbers in assorted styles, sizes, and colors. Great fun for scrapbooking, projects or around the room! Perfect for teachers, classroom, prizes and party favors! 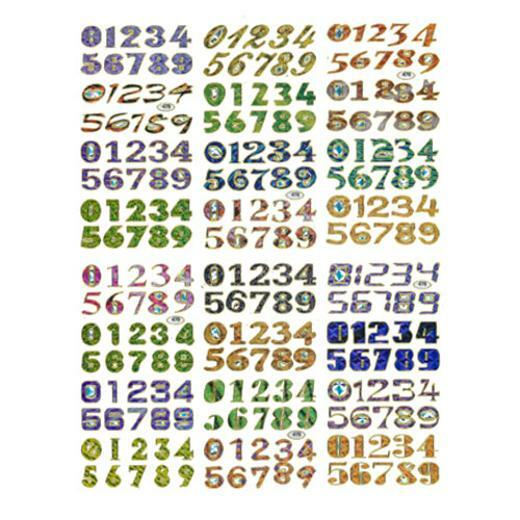 See our full selection of sticker sheets and other sticker products. L: 8.0 in. W: 10.0 in. H: 0.5 in.